This car spent at least 12 years of its life as a piece of lounge art, but today, Jay Leno felt the need to apologize to all XJ220s for misjudging them just like most people on this planet. The Jaguar XJ220 is beautiful, stupidly fast and with the turbo lag of a 3.5-liter twin-turbo V6 rally car engine, entertaining to drive as well. That’s why it’s one of my all time favorite supercars. It was also an absolute failure for Jaguar at the time, despite being the fastest car in the world for a while; they only built 281. Jaguar then sold everything XJ220 related to Don Law Racing, and tried to forget the whole thing ever happened to them. That’s not a problem, because the Law family did find ways to improve it further. Quite a few ways, in fact. 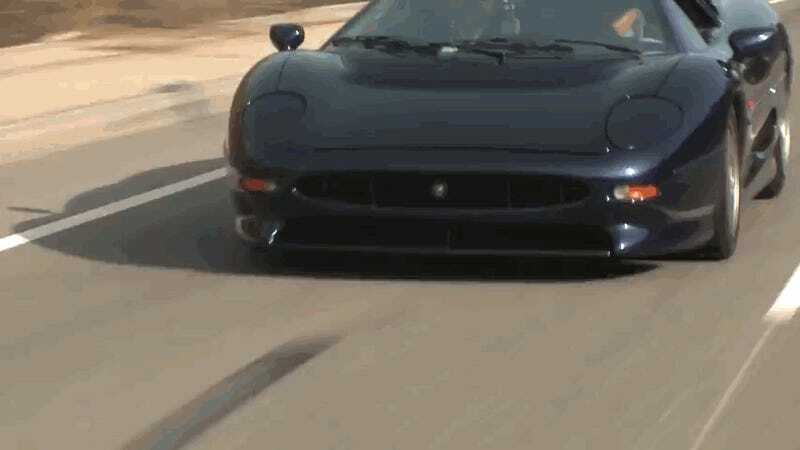 If the XJ220 was a V12 car, I have no doubt Jay Leno would have one in his garage since 1992. But because it isn’t, he had to wait until 2016 for a chap named Philip to ship one over from Japan, do an engine-out service on it and start putting miles in the clock of what’s essentially a brand new 1993 supercar. Watch out for this one, California! According to Jay Leno’s Garage, this won’t be a rare sight. I guess Jay could still afford one. Silver or green?